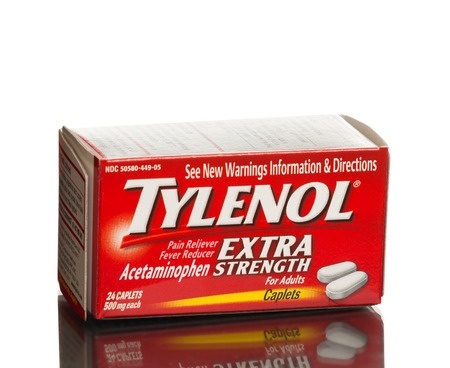 Hundreds of Tylenol lawsuits have been filed on behalf of individuals who allegedly sustained serious liver damage, including liver failure, due to the acetaminophen in over-the-counter (OTC) Tylenol-brand medications. In some cases, liver injuries were severe enough to warrant transplantation or proved fatal. Bernstein Liebhard LLP provides free legal reviews to victims of acetaminophen-induced liver damage allegedly related to the use of OTC Tylenol products. If you or a loved were hospitalized, required a liver transplant, or died as a result of such complications, please contact our office today at (888) 994-5118. February 2016: The first federal bellwether trial in the federal Tylenol litigation is scheduled for September 2016. According to court documents pending in the U.S. District Court, Eastern District of Pennsylvania, the case selected for trial was filed on behalf of a man who alleges the 2010 death of his sister was the result of acute liver damage brought on by an overdose of Extra Strength Tylenol. April 2013: The U.S. Judicial Panel on Multidistrict Litigation (JPML) agrees to consolidate all federal Tylenol lawsuits involving acetaminophen and liver injuries in a single federal court. The Panel determines that the U.S. District Court, Eastern District of Pennsylvania is an appropriate venue for the proceeding. January 2013: A Plaintiff in a Tylenol liver damage case has asked the JPML to centralize all such federal claims in a single jurisdiction for coordinated pretrial proceedings. Currently, 28 Tylenol lawsuits are pending in federal courts around the country, but the plaintiff’s’ motion contends that hundred of such claims could be filed in the near future. Since 1955, Tylenol brand medicines have been a near-constant presence in U.S. homes. Most consumers consider these popular OTC medications to be perfectly safe. But acetaminophen, the active ingredient in Tylenol products, can cause severe liver injuries if taken in inappropriate doses. The U.S. Food & Drug Administration (FDA) has warned that many of the victims of acetaminophen-related injuries were using an OTC medication that contained the ingredient, while at the same time taking an acetaminophen-based prescription drug. “Inadvertent overdoses with prescription drugs that contain acetaminophen and a narcotic have been responsible for a significant proportion of all the cases of acetaminophen-related liver failure in the United States, some of which have resulted in liver transplant or death. Am I Eligible To File A Tylenol Lawsuit? You may be eligible to take legal action you or a loved one used a Tylenol-brand medication and were diagnosed with severe, acetaminophen-induced liver injury. To discuss filing a Tylenol lawsuit with an attorney at Bernstein Liebhard LLP, please call (888) 994-5118.